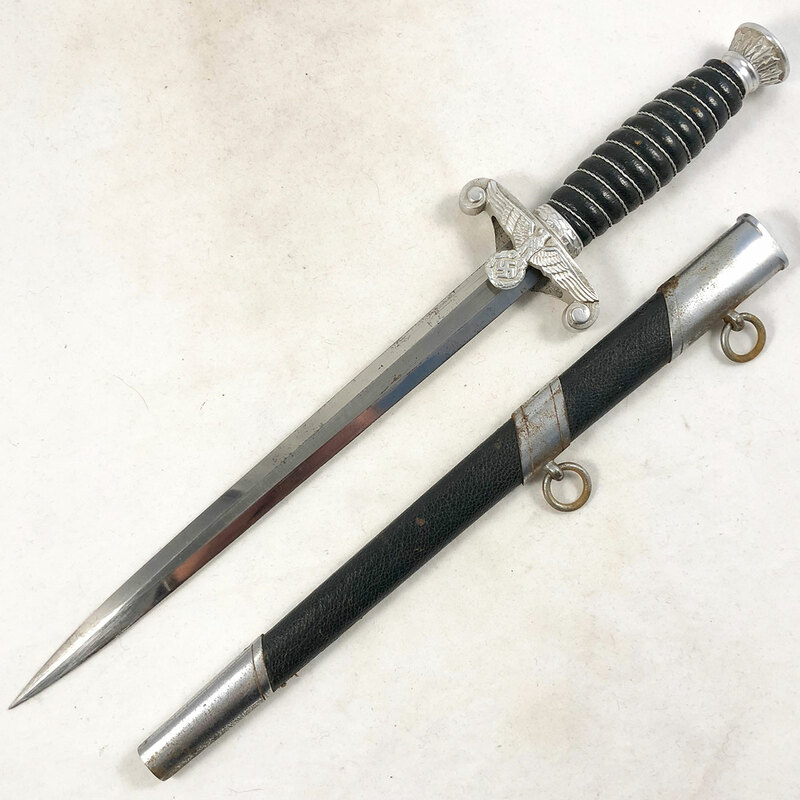 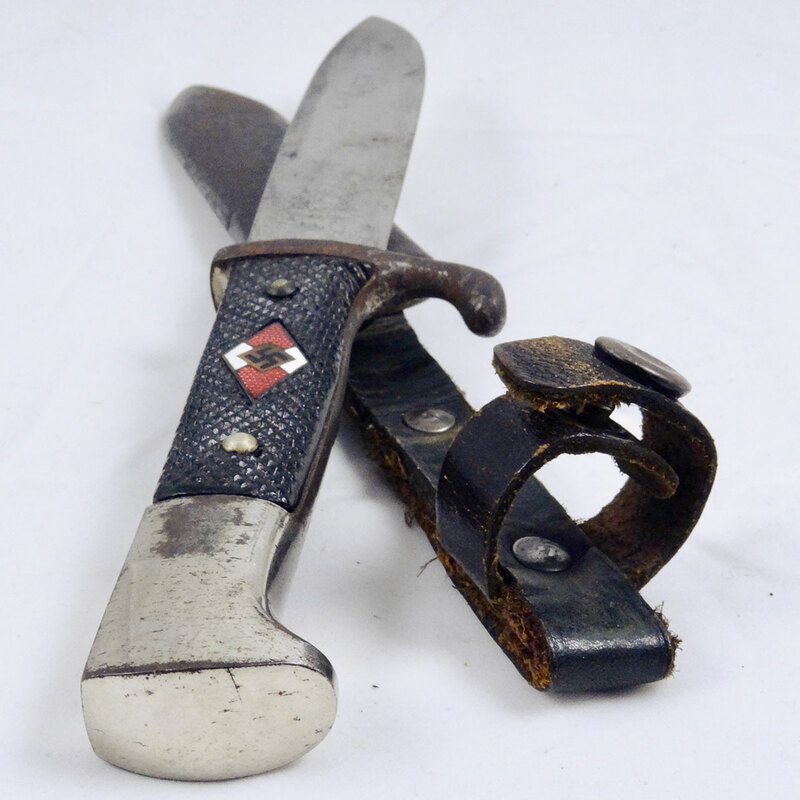 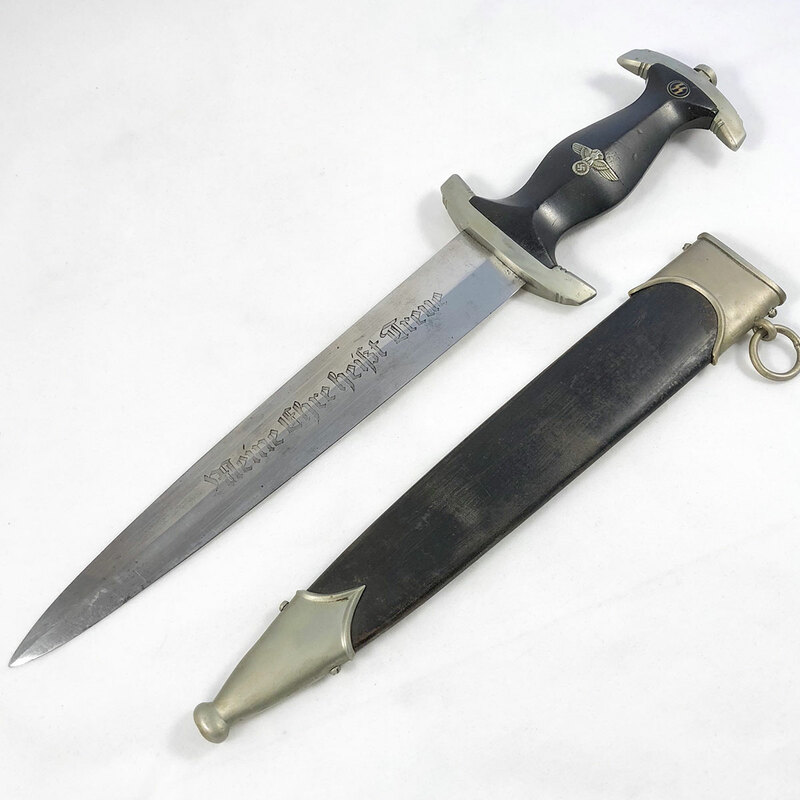 A very nice early version WW2 Heer Officers Dagger from maker Carl Wusthof. 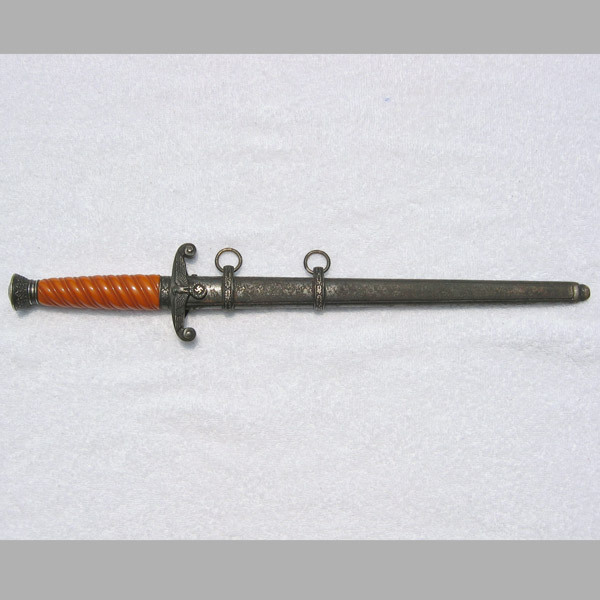 This example features the early “slant” grip, more tapered than rounded, with a beautiful orange color and no notable cracks or chips. 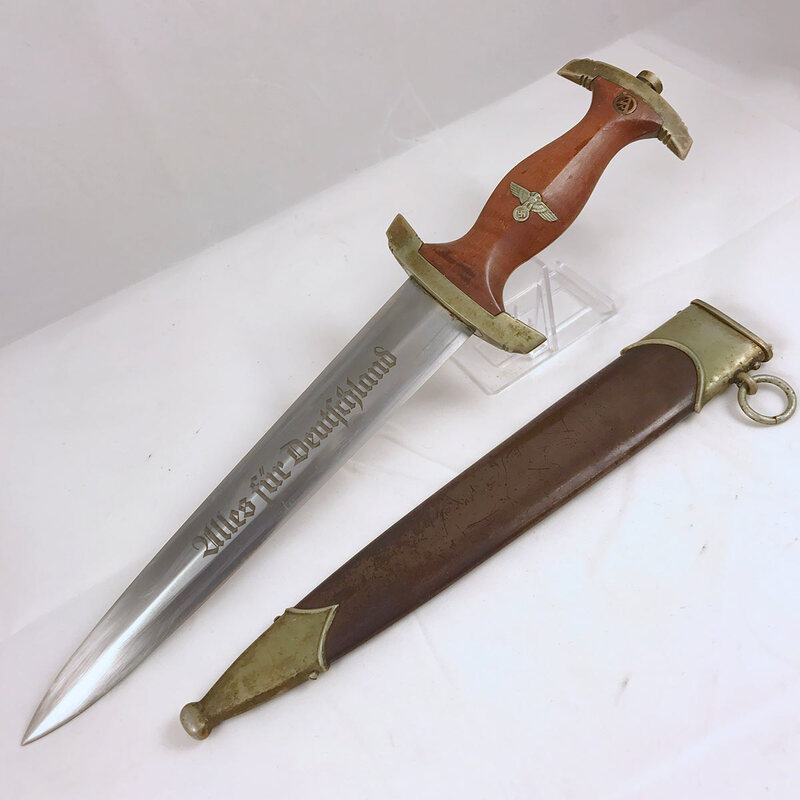 The blade features the typical Carl Wusthof mark, and has several mild moisture stain spots, but is otherwise shiny and clean. 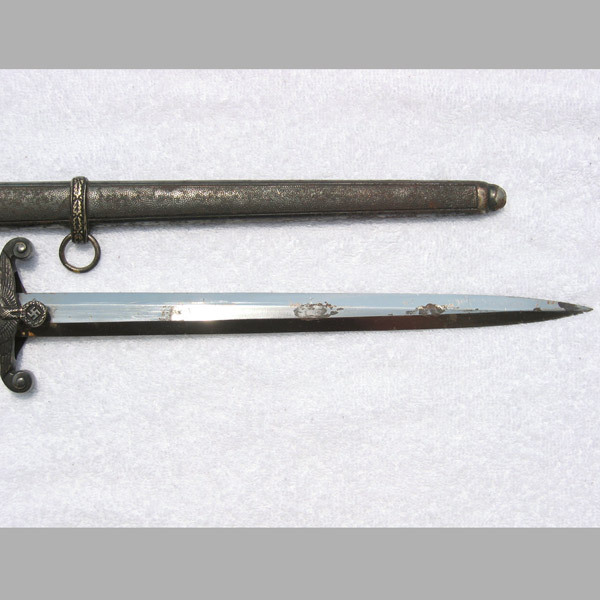 The scabbard shows signs of surface corrosion, but does not detract from the appeal of the piece all together. 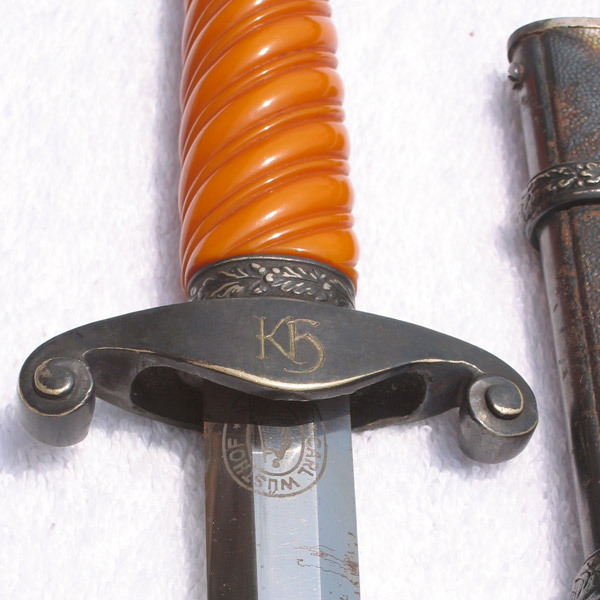 The officer’s initials personalize the dagger on the reverse of the cross guard, in the very high quality professionally engraved letters “KD” (or possibly “KF” or “KR”). 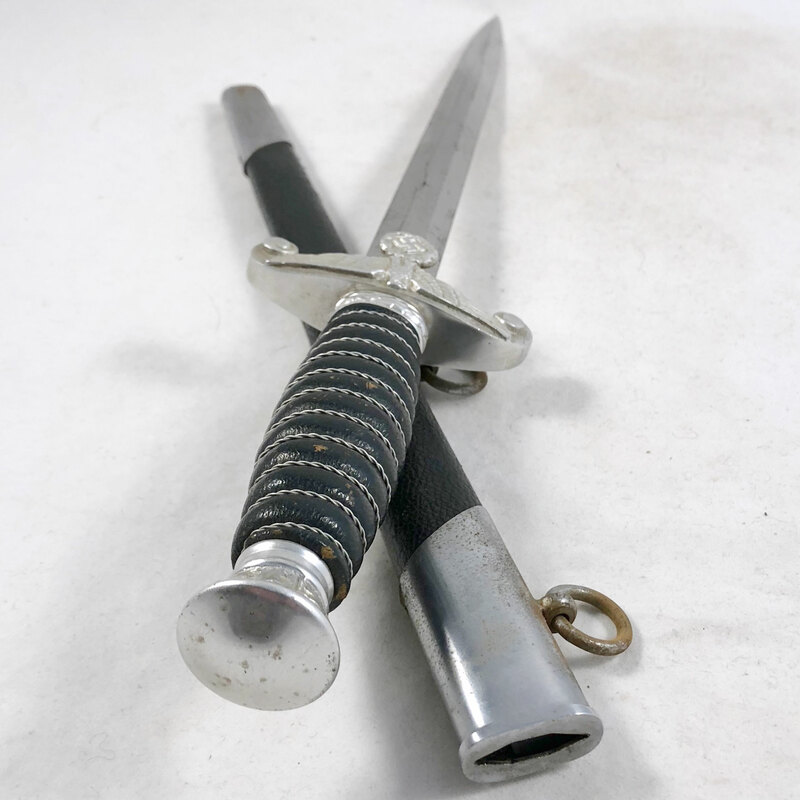 I’d be happy to have a look at your miniature army dagger. 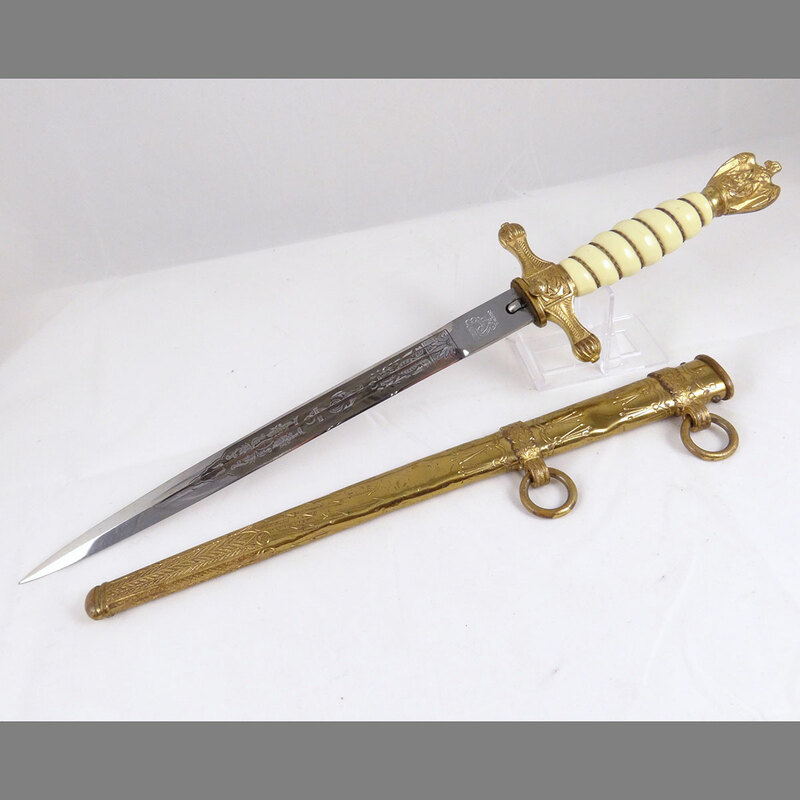 Would you mind sending me a few photos via the Free Appraisal link at the top of the page? 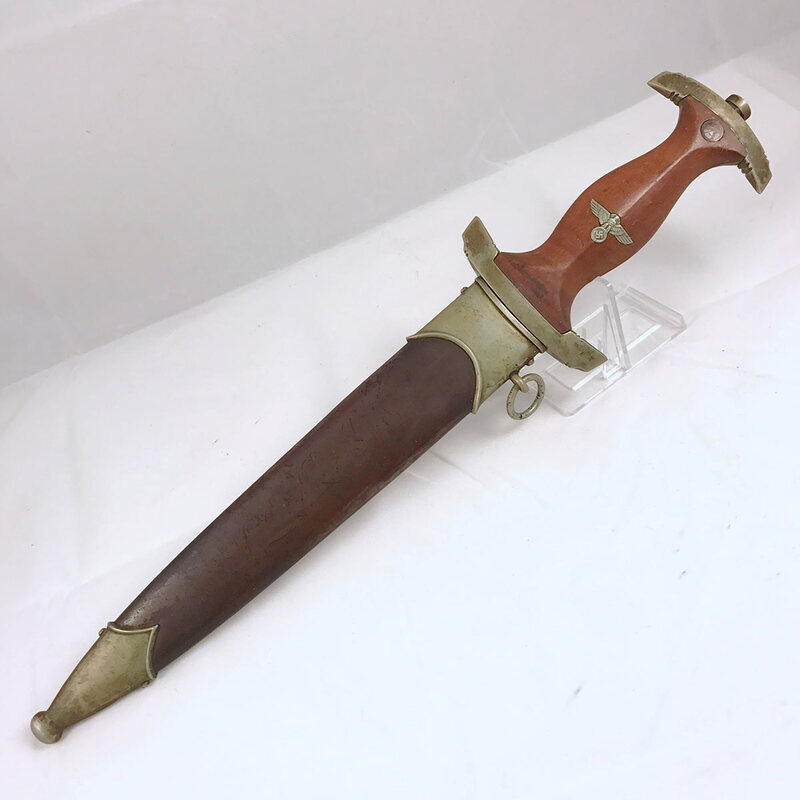 Or just click here and you’ll be taken to the page where you can upload photos of your dagger. 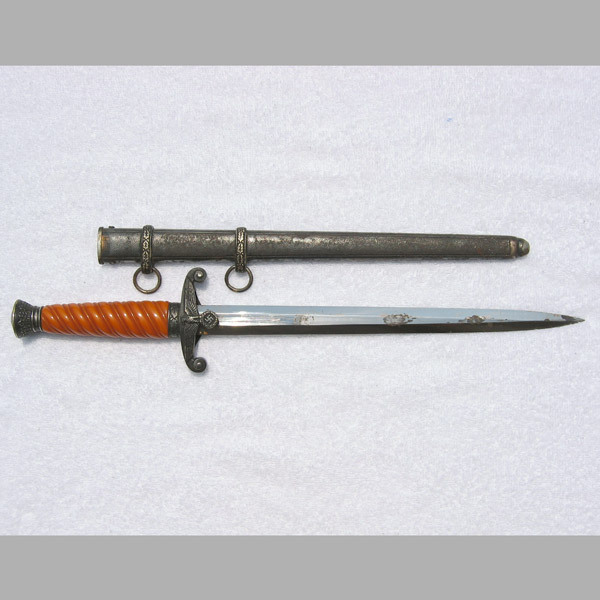 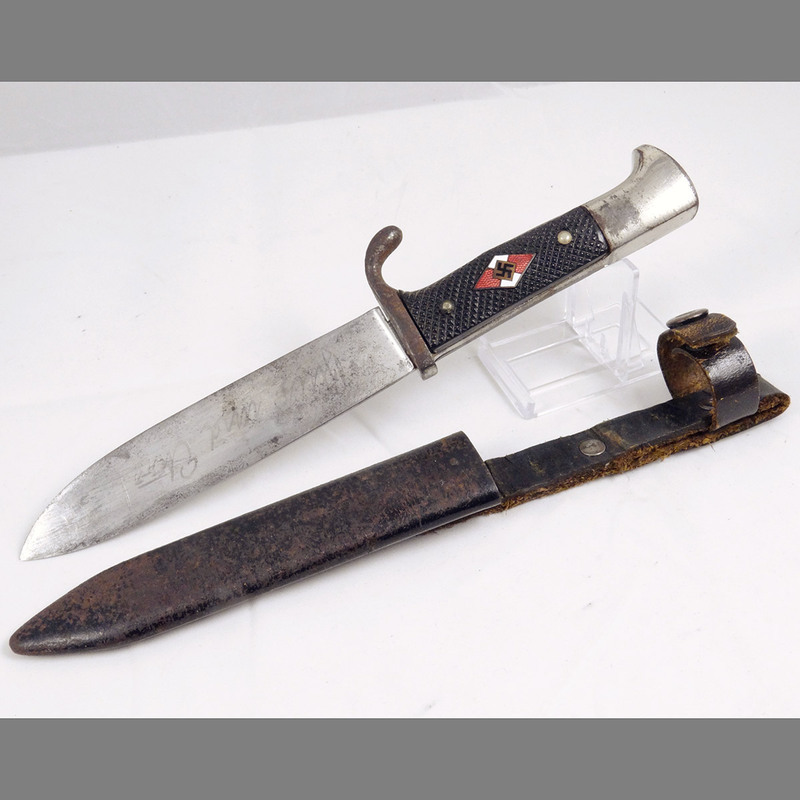 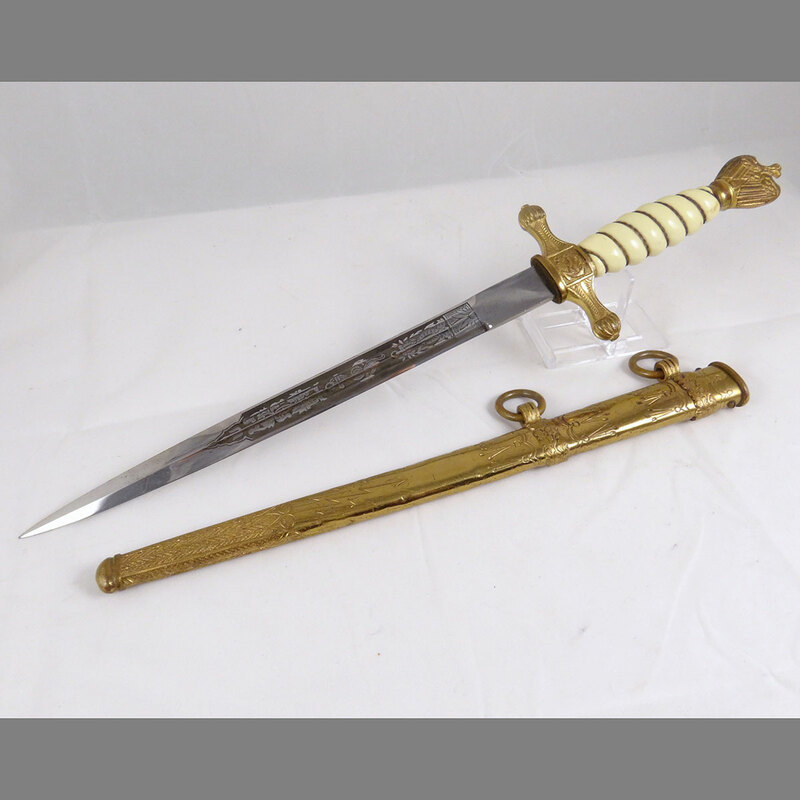 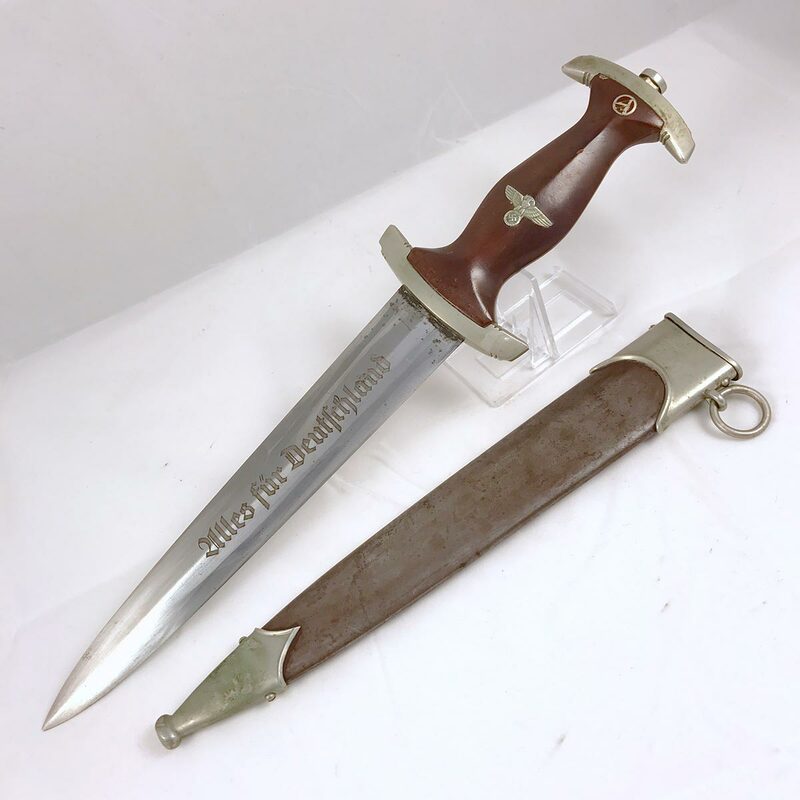 We have a miniature of the army Heer dagger with the name of : ALFRED TEVES, FRANKFURT/M. 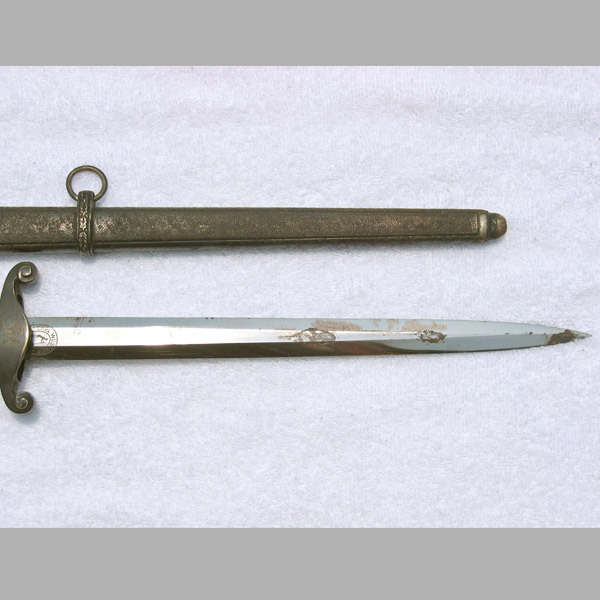 etched into the blade. 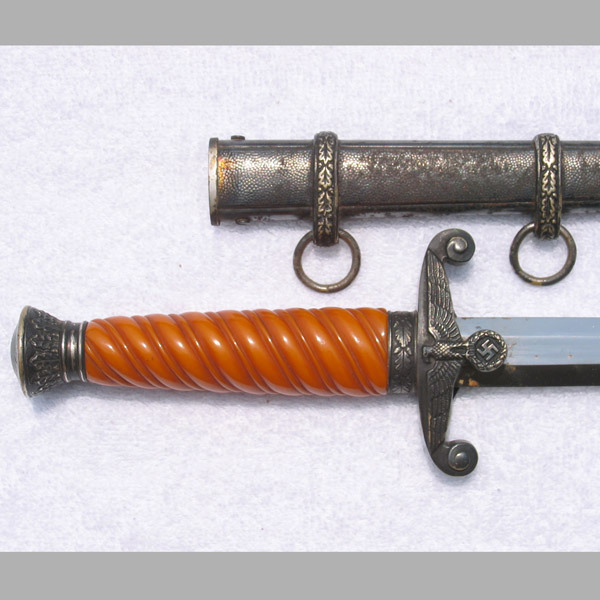 we also have the scabbard. 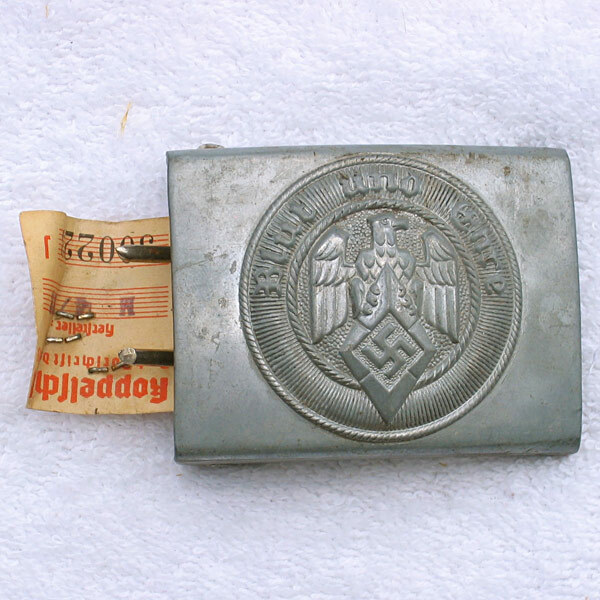 Can you give any further information about this? 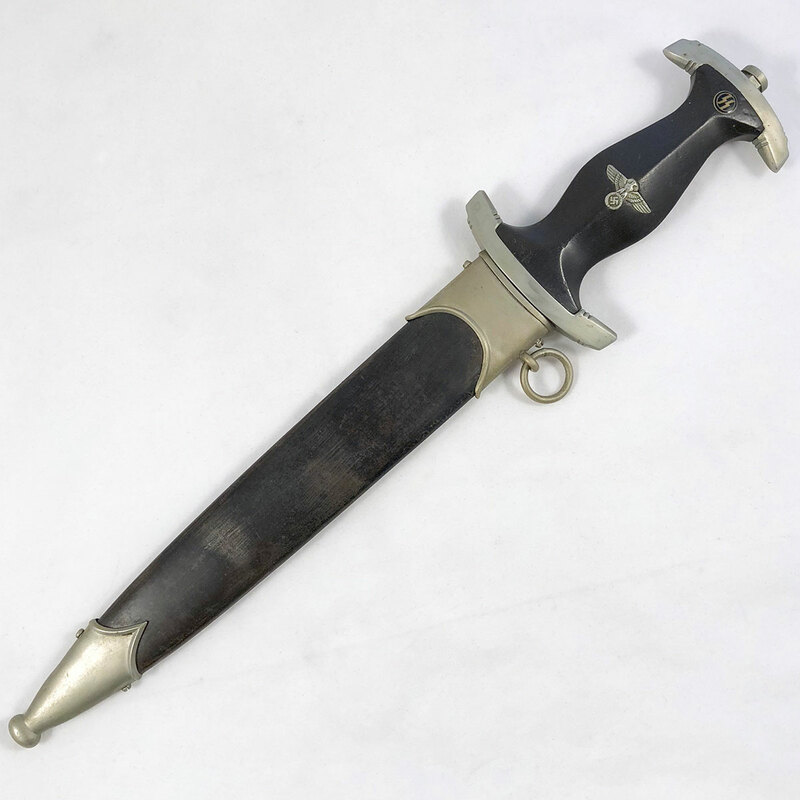 I have this dagger. 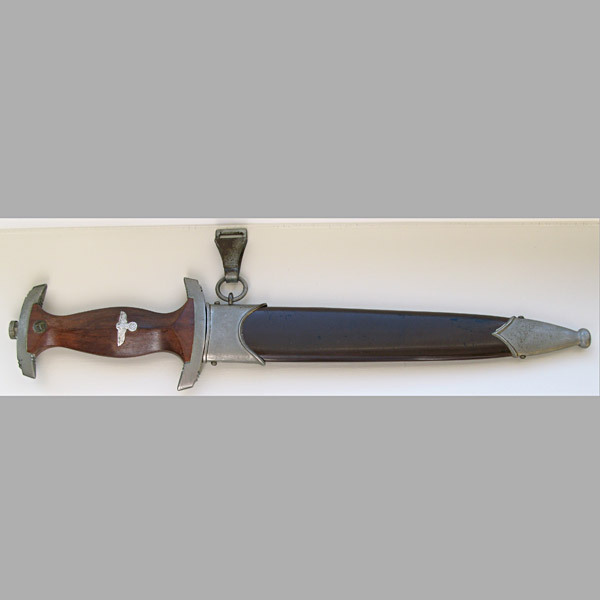 It still has the rope “tassle” tied to the top to the hilt and the belt for the sheath. 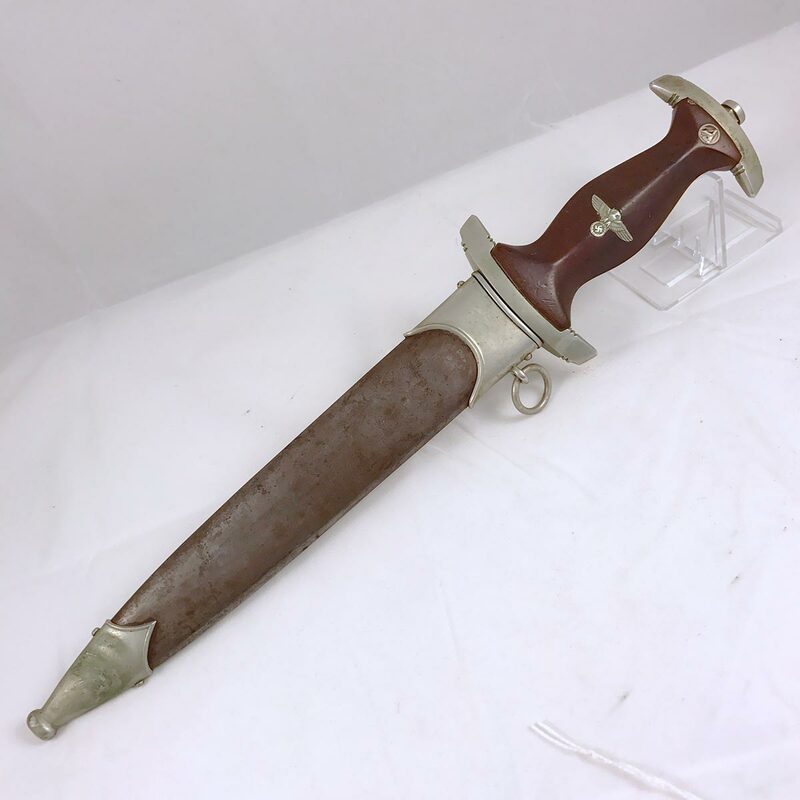 If interested write me back. 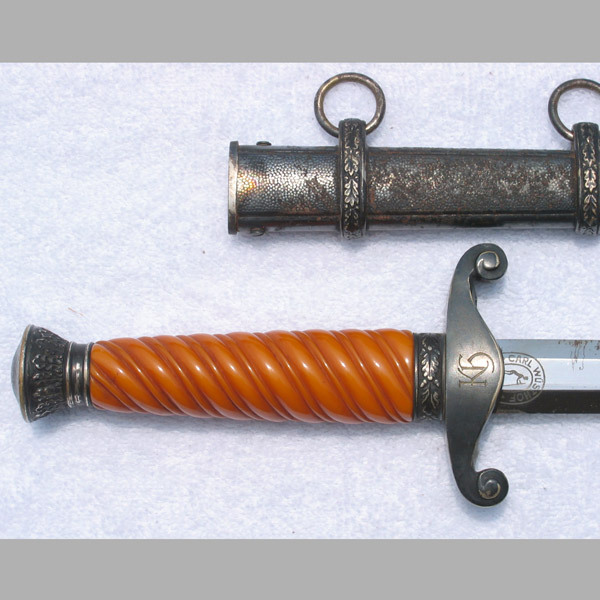 It looks exactly like the Carl Wusthof Heer Officer Dagger.